The story of the local kid making it big never gets old. It’s the stuff overheard in dimly-lit watering holes, as the villagers discuss how they knew the town’s favorite son way before he became famous. Each year in the horse-crazed city of Saratoga Springs, the upstate New York residents await the return of the kid who grew up only 15 miles down the road and became one of the top horse racing trainers in the world. 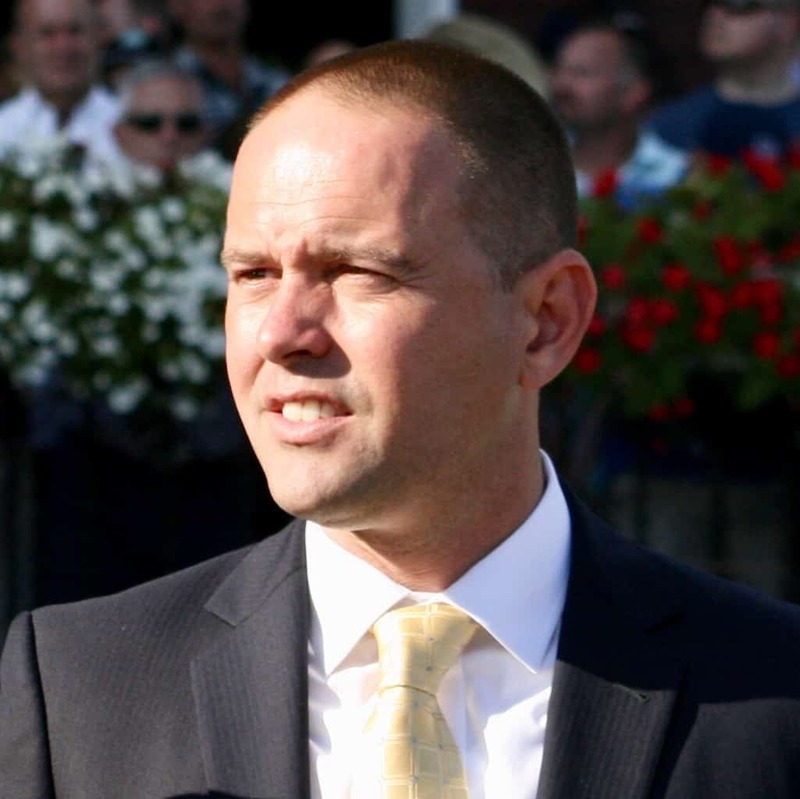 Chad Brown, a native of Mechanicville, NY, just southeast of Saratoga, grew up going to the race course and returns each year to try to conquer the 40-day meet as its leading trainer. Not only did Brown win the Saratoga trainer’s title for the first time in 2016, that feat (along with several wins in America’s top races) catapulted him to his first Eclipse Award for Outstanding Trainer that year. That was followed with a repeat Eclipse Award victory as the nation’s top trainer in 2017, but Brown fell one win short last year in the Saratoga trainer standings behind Todd Pletcher, who amassed 40 wins to Brown’s 39. The goal of winning the trainer’s title isn’t as important to Brown, though, as making sure his horses are all ready to run their best at the meet. Brown, 39, has amassed plenty of wins using that strategy, earning 110 over the last three years at Saratoga. Overall, the former assistant to Hall-of-Famer Bobby Frankel has visited the winner’s circle 1,381 times since he went out on his own in 2007. 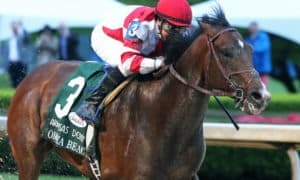 Featured on Brown’s resume are some of the most prestigious Grade 1 stakes held at Saratoga, including three wins in the Diana, two wins in the Sword Dancer, and wins in the Hopeful and H. Allen Jerkens Memorial. Brown has yet to win the two cornerstone Grade 1s at Saratoga, though, but will possibly have his best chances to win the Whitney and Travers this year when he enters top competitors in each race. The Whitney and Travers are only two races during the meet, though, and Brown has a barrage of top runners targeting several of the summer’s biggest events. Known for his prowess of winning top turf races early in his career, Brown dispelled the stigma of only being a great turf trainer when he began winning major dirt stakes races in the past few years. Still, the fact that Brown has only recently started campaigning top dirt horses can attest to the reason why he’s only run in the Whitney twice: Last Gunfighter (who finished fifth in 2014) and Smooth Air (last of six in 2009). 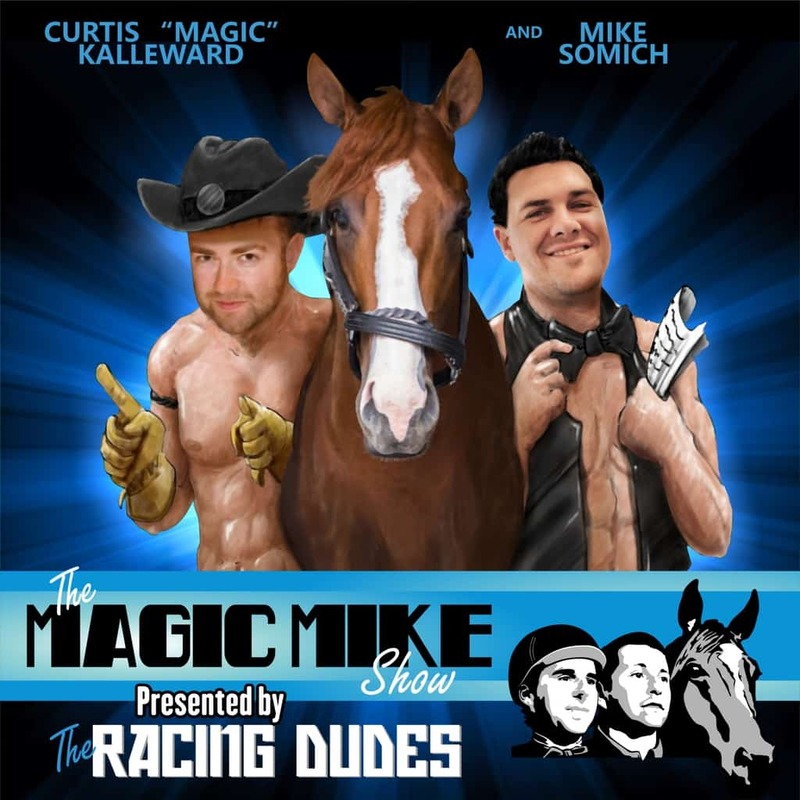 Now, Brown may bring his most promising older dirt male to date to Saratoga in Backyard Heaven. 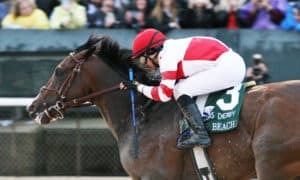 In his coming-out party on the national stage, Backyard Heaven absolutely throttled his competition, stalking early before drawing off to win the Grade 2 Alysheba Stakes by 4 1/2 lengths at Churchill Downs on the Kentucky Oaks undercard in early May. That field included last year’s Kentucky Derby winner Always Dreaming and the Grade 2 Jim Dandy Stakes winner Good Samaritan, along with the $4 million-earning next-out winner Hoppertunity. 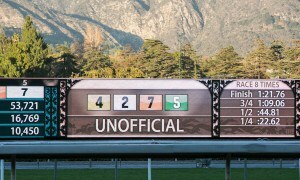 Things went to plan and the 4-year-old Backyard Heaven returned to Churchill as the odds-on 4-5 favorite in the Foster. What didn’t go to plan was the absolutely brutal, hot, and humid weather conditions that night, which caused many horses to run poorly, including Backyard Heaven, who finished a disappointing sixth fading late after stalking the early pace. Brown may never know for sure why his charge didn’t show up with his top performance that night. With Backyard Heaven showing no worse for the wear after returning with three breezes at Belmont Park, Brown will continue with his original plan to run in the Whitney. Sired by the 2011 Whitney victor Tizway, Backyard Heaven certainly has the bloodlines to win the 1 1/8-mile event, but the lightly-raced colt, who only has five career starts, will have his work cut out for him. 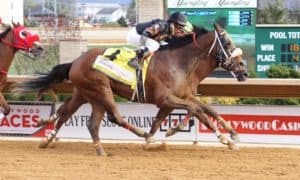 The Foster winner, Pavel, is expected to ship from California to contest the Whitney, and joining him will be the two-time New York-bred Horse of the Year Mind Your Biscuits as he stretches out to the longest distance of his career. Others pointing to the race on August 4 include McCraken and Sunny Ridge, with City of Light also possible. 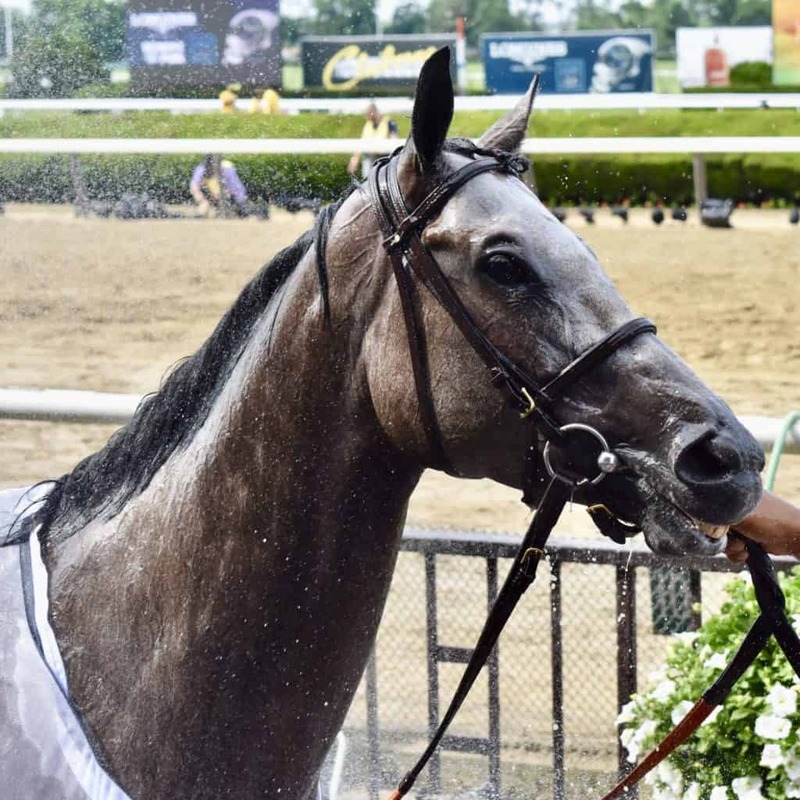 A little bit further down the road on August 25 is the meet’s crown jewel, the Travers, and Brown has his eyes set squarely on preparing for the illustrious race with possibly up to three runners. That group is led by the colt that gave Brown his first Breeders’ Cup Juvenile win, Good Magic. After being named the Eclipse Award Champion 2-Year-Old Male, Brown had the fortunate burden of having his first early-betting Kentucky Derby favorite. 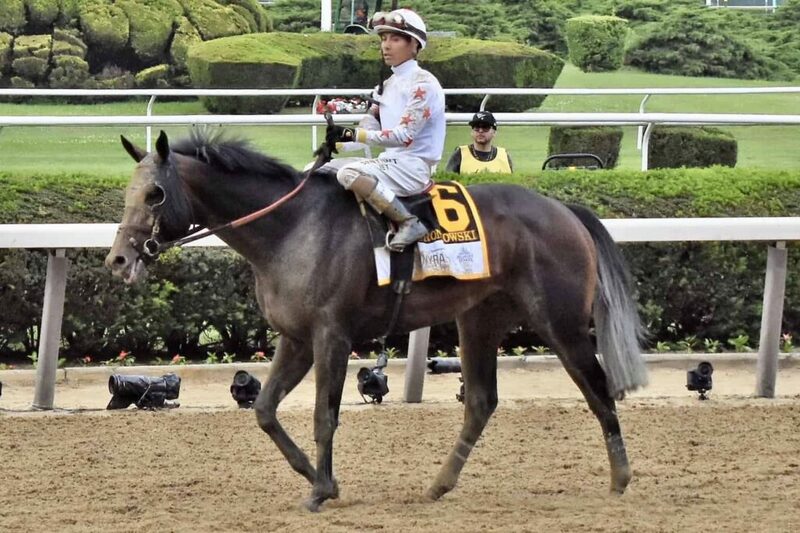 A decent third in the Grade 2 Fountain of Youth Stakes at Gulfstream Park to start his 2018 campaign was parlayed into a workmanlike win in the Grade 2 Blue Grass Stakes at Keeneland in early April, priming Good Magic to fire his best shot in his target race, the 144th Kentucky Derby. 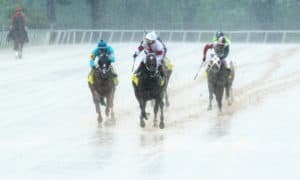 In an uncharacteristic move for a Brown trainee, but due to the rigorous schedule of the Triple Crown, Brown ran Good Magic back in two weeks in the Preakness, with the notion that it’d be his best shot to take down Justify. Good Magic had his shot, taking it to Justify early and often, but that led to his own demise when he faded in deep stretch to finish a close fourth. The plan was always to skip the Belmont Stakes, and Brown now has a fresh horse that he says has been training well. Good Magic has worked in company with Backyard Heaven twice and is on schedule for his target race, the Grade 1 Haskell Invitational at Monmouth Park on July 29. A strong performance there would likely set Good Magic up for a run in the Mid-Summer Classic at Saratoga while stretching back out to 1 1/4 miles. Another well-known colt of Brown’s is Gronkowski, named after the New England Patriots All-Pro tight end. 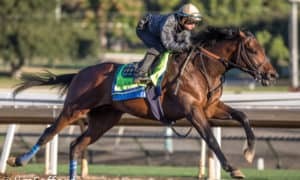 Gronkowski missed a chance to run in the Kentucky Derby due to a fever and then shipped from England to be transferred to Brown’s barn by owners Phoenix Thoroughbreds. “Gronk” settled in at Belmont and Brown brought him along quickly to finish a surprising second in the Belmont Stakes at 25-1 odds. The original plan was to run Gronkowski in the Jim Dandy at Saratoga on July 28, but those plans have changed. If Gronkowski isn’t ready, perhaps another transfer to the Brown barn will have an outside shot at filling the Travers gate. 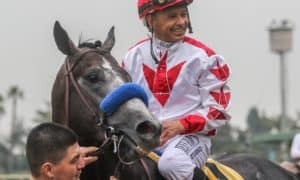 After running a late-charging fourth in the Kentucky Derby, Instilled Regard was brought to Brown by owner OXO Equine from California-based Hall-of-Fame trainer Jerry Hollendorfer in order to focus on an east coast campaign. 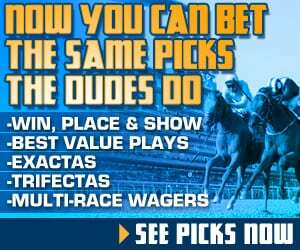 While Brown may be targeting the big dirt stakes at Saratoga, he still has his usual arsenal of top filly turf stars that will likely continue his dominance in those divisions. 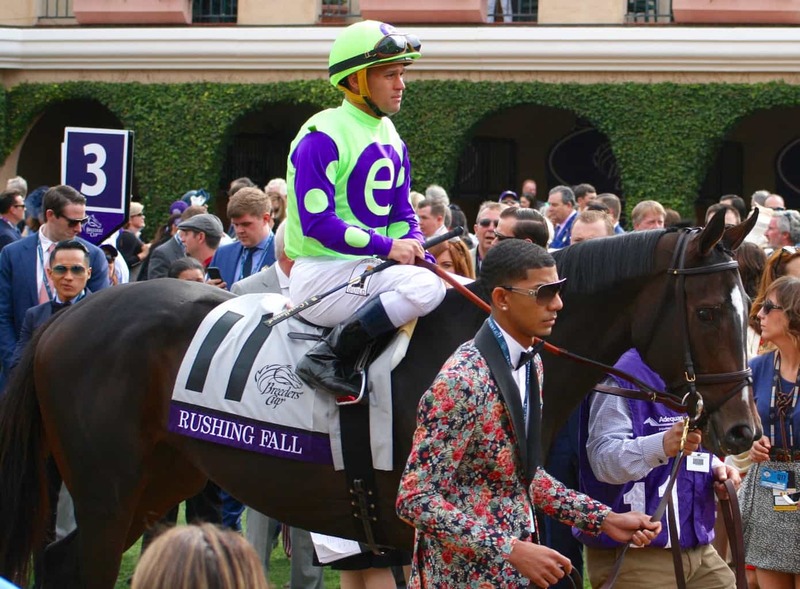 Brown won’t waste anytime flexing his turf filly muscle when he sends out the 2017 Breeders’ Cup Juvenile Fillies Turf winner Rushing Fall in the Grade 3 Lake George Stakes on Saratoga’s opening day. 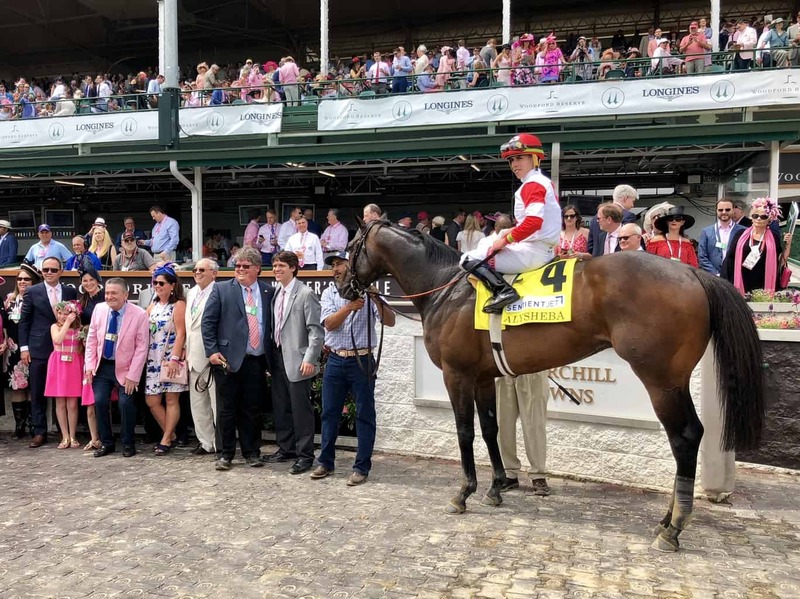 After suffering her first career defeat in a runner-up finish in the Grade 3 Edgewood Stakes on Kentucky Oaks Day, where she uncharacteristically went to the lead early, Brown went back to the drawing board and skipped a possible start in the Grade 1 Belmont Oaks. No matter the result, Brown won’t have much time to celebrate because the next day, he will be busy saddling up to four entries in the Diana on July 21. 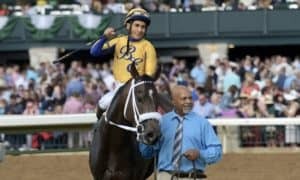 The Grade 1 Just A Game Stakes winner A Raving Beauty is likely to enter along with the Grade 1 Jenny Wiley Stakes winner Sistercharlie, while the Grade 2 New York Stakes winner Fourstar Crook and the multiple Grade 1 winner New Money Honey are possible. With an embarrassment of riches in the older filly and mare turf division, Brown has options. “They’re going to get by their last works this weekend down at Belmont and we’ll just take it from there. I won’t know exactly what I’m doing until entry day,” he said. Another older filly focusing on a future Saratoga start is the 4-year-old Uni. 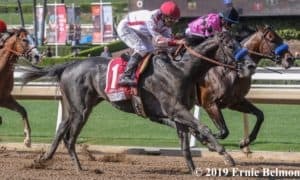 After winning the $100,000 Plenty of Grace Stakes at Aqueduct in mid-April while going a mile in her 2018 debut, Uni was primed to fire a big race in the Grade 1 Gamely Stakes at Santa Anita Park near the end of May, but things didn’t go to plan. Later in the meet, Brown already has his eye on the Grade 2 Lake Placid on August 18 for one of his top 3-year-old turf fillies, Significant Form. The Grade 3 Miss Grillo Stakes winner is coming out of a tough fourth-place finish in the Belmont Oaks, but Brown already has a target for the daughter of Creative Cause. On the dirt filly side of the barn, the Grade 2 Ruffian winner Pacific Wind will be pointed to the Grade 3 Shuvee Stakes on July 29 on the dirt going 1 1/8 miles. 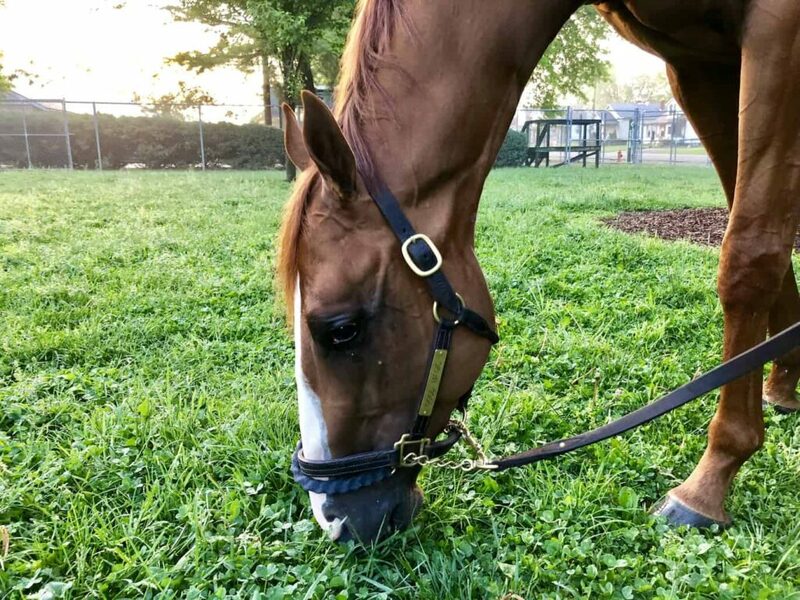 The 4-year-old daughter of Curlin will try to rebound out of a disappointing fourth-place finish in the Grade 1 Ogden Phipps Stakes on the Belmont Stakes undercard. Brown said that she’s doing well out of that start and that he’s very pleased with the way that she’s been training. With so many big goals over the next seven weeks in Saratoga, Brown is keeping it simple by focusing on each horse with the hard work and attention to detail that has made him so successful.